Jan Smith is the CEO of S3 Inc. Huntsville. Along with a team of experienced, innovative leaders, Jan Smith provides top quality critical support to national security, providing training and SETA services to a diverse group of clientele. 5 Professional Women Who Changed History System Studies and Simulation Inc.
System Studies and Simulation, Inc. is a women-owned technical services company that has seen great success and expansion over its 25 years of existence. CEO and Founder of S3, Inc. Jan Smith is well recognized for her accomplishments in entrepreneurship and the business world. She has been inspired by many other great professional women in history over the course of her career. Listed below are just a few professional women who changed history because of their tenacity and ability to pursue their dreams without stopping to consider what others might think about it. Alabama: The Home of S3 Inc Huntsville System Studies and Simulation Inc.
System Studies and Simulation Inc. (S3 Inc.) is headquarted in Huntsville, Alabama. While unknown to many travelers and tourists, Alabama is home to many beautiful, culturally rich, and inviting places and historical sites. Here are just a few of the reasons why you should consider visiting Alabama during your next vacation or road trip. 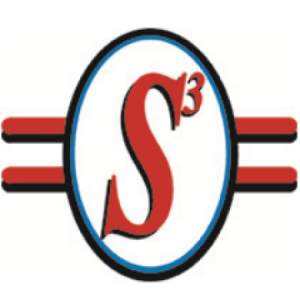 S3 Inc. Hunstville is a women-owned technical services company with a high level of success. CEO Jan Smith has been inspired by many successful female leaders and entrepreneurs over the course of history. In today’s society it is becoming increasingly easier for aspiring female entrepreneurs to break through the male dominated business world and build highly successful, internationally recognizable brands. These days, successful female business owners are growing their businesses in countries all over the world, and are doing so by connecting and sharing their path to success with other women. The following overview covers only a few of the countless female success stories emerging over the previous years from around the world. These are powerful women making a name for themselves within a wide range of industries; from media empires to the fashion world, and beyond. At System Studies and Simulation Inc., our staff is constantly being inspired by influential professional women we see in the media and in our daily lives. One of these women that has stood out in particular in recent years is Ellen DeGeneres. Inspiring – motivating, encouraging, inspirational are all words used to describe Ellen DeGeneres and her views on life itself. Born to an insurance salesman and a working mother in Louisiana, she often jokes of her humble beginnings when compared to some of today’s stars. She certainly was not born in the privileged world but instead worked as a waitress, painter (houses) vacuum salesperson and other not so glamorous jobs. Lane Nemeth & Discovery Toys: A True Inspiration System Studies and Simulation Inc.
As a women owned technical services company, System Studies and Simulation Inc. is inspired every day by the amazing successes and accomplishments of other great professional women. Many inspiring women have helped shaped the values of the S3 Inc. Huntsville company. One of these inspiring women is Lane Nemeth, the owner and founder of Discovery Toys. Sheryl Sandberg - The Lean in Position System Studies and Simulation Inc. The staff at System Studies and Simulation Inc. have a long list of professionals, entrepreneurs, and business leaders that they look to for inspiration. Being a women-owned technical services company, System Studies and Simulation Inc. has been inspired by a large number of women especially in the tech, science, and digital world. System Studies and Simulation Inc. has built its principles on the ideas and findings of many influential women throughout history. As a women owned technical services company itself, System Studies and Simulation Inc. is an avid supporter for an increase of women in STEM fields (Science, Technology, Engineering, and Mathematics). One woman in particular who has demonstrated great leadership and innovation throughout her professional career is Oprah Winfrey. Women in STEM System Studies & Simulation Inc.
System Studies & Simulation Inc. is dedicated to raising awareness and increasing the amount of women participating in STEM. The fields of science, technology, engineering, and mathematics (STEM) have always been known as fields that offer problem-solving opportunities and challenging professions. These 4 fields form part of the most important aspects of education in the real world, which is probably why its workforce earns more than the regular Joe. Women in these fields have often been deemed as inferior and even told that they can’t do the same work as a man. However, many females have entered these fields and came out on top with stellar reputations and amazing results, including the CEO of System Studies & Simulation Inc., Jan Smith. Below, System Studies & Simulation Inc. discusses why more women should be exposed to the STEM fields on a schooling level and in the real world. Based in Huntsville, the team at System Studies & Simulation Inc. gets excited about the many fall festivals and events happening all around Alabama each year! Fall is here with a spectacular array of colors and fresh, chilling winds. Think the fun is over now that the holidays are finished and the summer heat is gone? Think again! Alabama has plenty of festivals and events that you can enjoy in the crispy fall air. Jan Smith and the staff at S3 Inc. Huntsville are constantly being inspired by women leaders in business, technology, and all other industries across the globe. Learn about the amazing story of YouTube CEO Susan Wojcicki in our recent blog post. CEO Jan Smith and the entire team at S3 Inc. Hunstville are excited to see the new updates and developments to come in the technology industry in the upcoming months. In their latest blog, S3 Inc. Huntsville discusses some of the predicted technology trends for 2017. Learn about Billie Jean King, an influential woman and tennis player that has inspired that staff at S3 Inc. Huntsville.